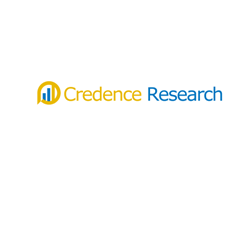 According to a new market research report published by Credence Research“ 3D Printing Market (Polyjet, Stereolithography (SL), Fused Deposition Modelling (FDM), Electron Beam Melting, Selective Laser Sintering (SLS), Others) – Growth, Share, Opportunities, Competitive Analysis and Forecast 2016 – 2023”,the global 3D printing market stood at US$4.83Bn in 2015and is estimated to expand with a CAGR of 15.3% from 2016 to 2023. 3D printing, also called as additive manufacturing, refers to a process of making three-dimensional (3D) solid objects using a digital model. In 3D printing, the object is prepared by placing down successive layers of material. Since the introduction of 3D printing technology in 1984, the technology is steadily becoming popular and is expected to gain substantial traction in the coming years. Till date, the 3D printing technology is used in various applications such as jewelry, consumer goods, industrial design, aerospace, construction, automotive, healthcare, geographic information systemsand others. The technology is, however, used majorly for prototyping and marketing purposes. End-users are still hesitant in shifting towards 3D printing for large scale manufacturing which may challenge the market growth. Additive manufacturing offers better overall efficiency as compared to the traditional manufacturing processes. As a result, the technology is expected to expand exponentially in the coming years. The global 3D printing market is highly fragmented in nature with large number of players striving to establish their remarkable presence in the market. The companies operating in the market compete primarily on the basis of technology, ease of process and providing a full suite of products and services. The market comprises various technologies that are designed for specific applications. Thus, no company has established monopoly in the overall market over the period of time. Nevertheless, with various tech giants such as Google, Inc., Hewlett-Packard (HP) Company, Lenovo Group Ltd. and others, the market is expected to emerge highly competitive in the coming years. Major companies plan to expedite their operation in the 3D printing segment from the year 2016 onwards. Kommentar hinterlassen on "3D Printing Market 2018 – Global Industry Size, Industry Share, Market Trends, Growth and Forecast to 2026"